I’m doing Plentiful Earth’s #30DaysMagicalRoots challenge this month. For details on the challenge to step up your magical game in the month of August, check here. I haven’t been as present in my magical practices lately, and I’m looking forward to diving deeper with a daily practice. Today’s challenge is divination. I love Tarot and all kinds of divination decks. 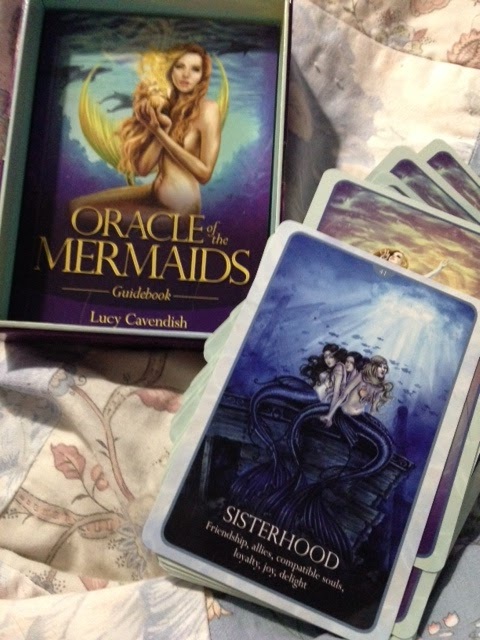 This is one I’ve acquired this year that I absolutely love…Lucy Cavendish’s Oracle of the Mermaids. I’ve been obsessed with mermaids for the past year, and this is a really lovely, beautiful oracle. 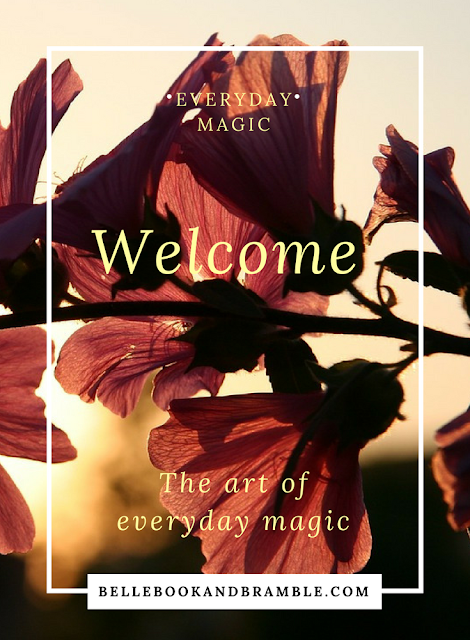 It sounds like August will be a great month to connect with other witchy folks…I hope that you take the magical challenge and join me, too! Do you have a favorite oracle? It can be an old favorite or new favorite, and doesn't have to be cards. I have a friend who's learning to read tea leaves, and that sounds amazing! I love to read peoples' auras. They're so colorful and full of life. Each one tells a different story. Oh, that's so very cool! I bet you can see everything about them! I love to read peoples' auras. Each so colorful, each telling it's own story. There stories are created right in front of them. They don't see it but I do. It's an amazing experience. Full of color and music! I have several decks, and every once in a while, it seems like a particular one calls to me. I get an urge out of nowhere to talk to it and see what it needs to tell me. As I read your post, the Vintage Wisdom Oracle came to mind, so perhaps that's the one I need to check in with this time! Oooh! I need to check this one out!